Former National Security Minister, Doctor Keith Mondesir, asserting that when he was appointed there was a spike in violent crime similar to what is taking place in Saint Lucia currently, has asserted that the situation highlights a lack in ‘basic policing. ‘”When I say that I mean that policing is supposed to be community policing,” Mondesir told St Lucia Times. 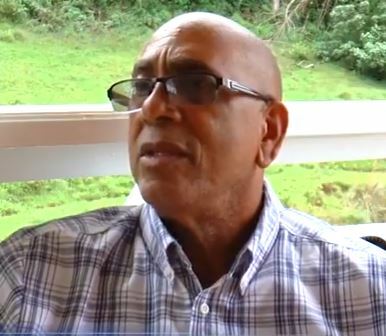 The former minister spoke against the backdrop of the shooting death of two teenagers Saturday in the community of Desrameaux, Gros Islet. He expressed the view that police officers are not walking in the communities. “I think the policemen are not invading these ghettos where these crimes perpetuate and I think the visibility of policemen on the streets -they are not visible enough,” Mondesir, who served as National Security Minister between 2006 and 2007 observed. “Policemen, in my opinion, should not be drivers driving up and down,” he told St Lucia Times. The former minster expressed the view that in every community, people know who the wrongdoers are. “In a small place like Saint Lucia, there is always somebody that knows who committed a crime. But if you are not in a community – if there is no community policing, you are not going to get that information,” Mondesir stated. He said another factor relates to the reward given to people who provide information to the police. “These people should be well treated,”Mondesir declared, adding that there should be linkages in every community with someone giving information to police officers. He asserted that community policing is not being done properly. As far as the former minister is concerned, with effective community policing in place, the police could be alerted to criminal activity even before they take place. He recalled that when he was MP for Anse La Raye-Canaries, police officers were sitting in police stations in the community. Mondesir said he advised the officers to go out into the community and speak with the people. He also spoke of the need for police officers to earn the respect of the people they serve. “With my technique, we brought down the crime rate in six months by 35 percent – it is on the record,” Mondesir stated, adding that community policing works. Proper community policing works every time. Most crimes are solved from information the police receive from members of the community where the crime was committed. The police have to win the respect and confidence of the public. The big guns and force by the police only stir resentment and antagonism. Intelligence gathering needs to be vastly improved also. Citizens should become much more outraged with the senseless slaying of our young males. The government is an abysmal failure on this particular issue and others, example, healthcare. True but one of the biggest problem with that idea is the people don’t trust the police. Unless there is a level of trust, many crimes taking place in our country will remain unsolved. Exactly the same nonsense in the UK. Police need to be proactive and get off their fat asses. Walk your patch, get to know people in the village. Yes i agree with some of what you say. Police officers must put themselves in a position to demand respect too. You see that EVERY BODY KNOWS EVERYBODY thing and every body is everybody’s friend…..Police must draw the line between their job and that casual friend thing .Also they must learn to keep their mouth SHUT when they get a tip from the community by not saying who told them. Why do you think people are afraid to talk. I hope you have that discussion with the powers that be.. Its really time for that crime thing to stop. Its too much. I am in in total agreement with the minister. They sit in these stations waiting for crimes and reports of crimes to come to them. Its like a fisherman sitting in his boat on the shores waiting for fish to filled the boat. They have little to no relationship with the community members they are supposed to be serving and protecting. How they expect to be strangers and expect treatment befitting a friend. Hence the reason why i told the commissioner of police and all our law makers including the PM. that they have done nothing to stop crime! stopping crime is not brutalizing people with arrogance and pride. But the then prime minister destroyed our police intelligence and he know that. No more comments.. Permit me to share some of my training and experience in Street Gang Intelligence Supervision and Investigation. First of all Community Policing Is the Modern way of Policing with the Communities and various external partners and Agencies. Every Police officer lives in a community and are part of that community regardless, even if he works there but don’t live there. His Role is to know the community he works or live in and police with the people in the community. from a stand point the people are his customers so you must be fair and treat them with respect. problem-solving process that local law enforcement can apply to its local gang problem. 2.ANALYZE—Complete a detailed analysis of the dimensions of the problem. 3.RESPOND—Generate solutions to remove the underlying causes of the problems. 4.ASSESS—Evaluate the success of such solutions. The SARA model has been used successfully in several national-level projects such as Project Safe Neighborhoods (P.S.N). The five elements of a successful gun crime reduction strategy are (1) partnerships, (2) strategic planning, (3) training, (4) community outreach and public awareness, and (5) accountability. neighborhoods, or increased public fear of crime. Once the problems and their consequences have been identified and given a high priority, it is necessary to determine if problems are indeed gang-related. After all, not all drug dealing, violence, or disorder problems in a community are caused by gangs. Gang-related problems may call for a different set of solutions than problems that do not have gang activity at their core. To scan for the nature of the gang problem in your community, you may wish to ask yourself and your agency the following questions. What is your definition of a gang, a gang member, and gang crime? Is this definition built into your Records Management System (RMS)? Are officers trained in how to apply this definition? Many jurisdictions have a check box on their RMS forms to indicate whether a crime involved a gang member. This can be useful both in defining the gang problem and measuring the effectiveness of gang responses. How do you track gang crime? 1.Does your department track the crimes committed by gang members? 2.Do you separate crimes committed by gang members for any special analysis? 3. What sources of information about gangs are available to you? Do schools, social service groups, the juvenile court, or hospitals track such information? Are other sources of law enforcement data available ? you can access the questionnaire and use it as the basis for scanning to better understand the nature of your local gang problem. 4. How many gangs are in your jurisdiction? How large is their membership? 5. How long have gangs been in the area? 6. How well organized are the gangs in your community? 7. Do the gangs have leaders? 8. What are the different roles in the gangs? 9. What are the ages of gang members? 10. What is the racial/ethnic composition of gangs? 11. Are there separate gangs for girls? Do girls belong to male gangs? 12. Do gangs migrate to your city from other communities? Do gangs in your city imitate or copy those in other countries. 13. What is the role of the prison and prison gangs in city gang activity? 14. Do gangs affect management of the local Prison? 15. Does immigration affect your gang problem? 16. Are gang members involved in the local and wholesale drug market? Do gangs control drug sales? 17. Are gang members involved in the retail and wholesale gun market? 18. What are the predominant crimes in which gang members engage? 19. What is the role of violence in the gang? 20. What are the major sources of disruption caused by gangs? Where do these disruptions take place (neighborhood,school, jail, malls, public gathering places, for example)? Not all of these questions are appropriate for all communities and, indeed, answering all of them may take too much time or provide too much information to formulate an effective response. But it is important to consider the broader dimensions of the gang problem in initially scanning the local environment for the nature of the gang problem. Keeping the broadest scan of the local gang problem, with input from a number of sources, would be the best way to not ignore a significant part of the gang problem. The focus can always be narrowed as the analysis shows more information about the nature of the problem. For now i will just stop on the Scanning part, which is of outmost importance.